Phys. Rev. Lett. 122, 058301 (2019). Phys. Rev. X 9, 011017 (2019). Proc. Natl. Acad. Sci. USA 116(2), 367-372 (2019). Phys. Rev. A. 99, 012316 (2019). IEEE Trans. Control Netw. Syst. 5(2), 694 (2018). IEEE Trans. Control Netw. Syst. 5(2), 690 (2018). Annu. Rev. Condens. Matter Phys. 9, 463 (2018). PLoS Genetics 14(3), e1007284 (2018). Phys. Rev. Lett. 119, 244101 (2017). Phys. Rev. Lett. 119, 248302 (2017). Phys. Rev. X 7, 041044 (2017). Science 358 (6365), eaan3184 (2017). For download without subscription, follow the link on the home page. Phys. Rev. Lett. 119, 084101 (2017). Phys. Rev. E 95, 062215 (2017). Phys. Rev. X 7, 021040 (2017). Phys. Rev. Lett. 118, 174102 (2017). Phys. Rev. Lett. 118, 048301 (2017). 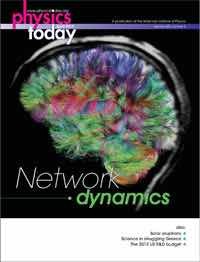 Physics Today 70(1), 32 (2017). Phys. Rev. Lett. 117, 114101 (2016). Phys. Rev. X 5, 031036 (2015). IFAC-PapersOnLine - Conference Proceedings of the 4th IFAC Conference on Analysis and Control of Chaotic Systems 48, 1-6 (2015). Integr. Biol., 7, 930 (2015). J. R. Soc. Interface 12, 20150235 (2015). New J. Phys. 17, 015012 (2015). M. Pitici, Editor. Princeton University Press: Princeton. p. 270-287 (2015). J. Fluid Mech. 744, 183 (2014). G. Deodatis, B.R. Ellingwood, and D.M. Frangopol, Editors. CRC Press/Balkema: Leiden p. 3621-3628 (2014). Phys. Rev. Lett. 111, 194101 (2013). Nature Communications 4, 1942 (2013). Phys. Rev. Lett. 110, 208701 (2013). Nature Physics 9, 191 (2013). 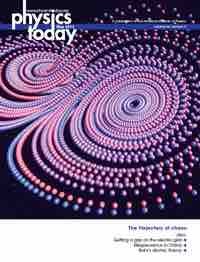 Physics Today 66(5), 27 (2013). J. Stat. Phys. 151(6), 1162 (2013). J. Stat. Phys. 151(1), 277 (2013). Phys. Rev. Lett. 109, 258701 (2012). Nature Materials 11, 608 (2012). Discret. Contin. Dyn. Syst. A 32(8), 2937 (2012). 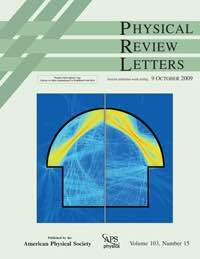 Special Issue in Honor of the 65 Birthday of John Guckenheimer. Physics Today 65(4), 43 (2012). Scientific Reports 1, 151 (2011). 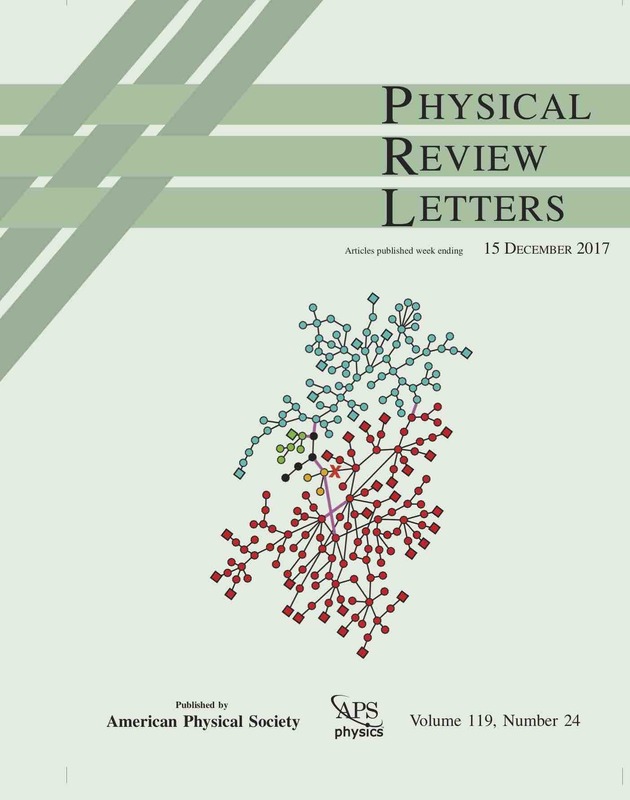 Comment on "Controllability of Complex Networks with Nonlinear Dynamics,"
Phys. Rev. Lett. 107, 034102 (2011). Focus Issue Synchronization and Cascading Processes in Complex Networks. PLoS One 6(5), e19009 (2011). Proc. Natl. Acad. Sci. USA 108, 3124 (2011). Nature Communications 2, 170 (2011). J. Biol. Chem. 286, 4742 (2011). Proc. Natl. Acad. Sci. USA 107, 10342 (2010). Communications in Mathematical Physics 300, 411 (2010). BioEssays 32, 236 (2010) - Problems and Paradigms. Nature Physics 6, 164 (2010). Phys. Rev. Lett. 103, 154101 (2009). New J. Phys. 11, 113047 (2009). PLoS One 4(11), e7678 (2009). Phys. Rev. E 79, 065202 (2009). Phys. Rev. Lett. 102, 184101 (2009). PLoS Computational Biology 4(12), e1000236 (2008). Proc. Natl. Acad. Sci. USA 105, 18153 (2008). J. Phys. A: Math. Theor. 41, 224019 (2008). J. Phys. A: Math. Theor. 41, 220301 (2008). New J. Phys. 10, 053022 (2008). Phys. Rev. Lett. 100, 118701 (2008). Molecular Systems Biology 4, 168 (2008). Phys. Rev. E 77, 016205 (2008). Can aerosols be trapped in open flows? Phys. Rev. Lett. 99, 264101 (2007). New J. Phys. 9, 182 (2007). Phys. Rev. Lett. 98, 248701 (2007). Proceedings of the Fortieth Hawaii International Conference on System Sciences, January 3-6, 2007, Big Island, Hawaii. Physica D 224, vii (2006). Physica D 224, 77 (2006). Phys. Rev. E 73, 065106 (2006). Phys. Rev. E 73, 026207 (2006). Phys. Rev. Lett. 96, 034101 (2006). AIP Conference Proceedings 776, 201 (2005). Phys. Rev. E 71, 036215 (2005). Phys. Rev. E 71, 016116 (2005). Europhys. Lett. 69, 334 (2005). Phys. Rev. Lett. 93, 098701 (2004). Eds. : E. Ben-Naim, H. Frauenfelder, Z. Toroczkai. Phys. Rev. Lett. 91, 231101 (2003). Phys. Rev. E 68, 056307 (2003). Phys. Rev. E 68, 036105 (2003). Phys. Rev. E 68, 036106 (2003). Phys. Rev. E 68, 017102 (2003). Heterogeneity in oscillator networks: Are smaller worlds easier to synchronize? Phys. Rev. Lett. 91, 014101 (2003). Range-based attack on links in scale-free networks: Are long-range links responsible for the small-world phenomenon? Phys. Rev. E 66, 065103 (2002). Phys. Rev. E 66, 065102 (2002). Phys. Rev. E 66, 046139 (2002). Phys. Rev. E 65, 065102 (2002). Phys. Rev. E 65, 065201 (2002). Phys. Rev. E 65, 015205 (2002). Phys. Rev. D 65, 068502 (2002). Phys. Lett. A 285, 127 (2001). Reg. Chaot. Dyn. 6, 215 (2001). Phys. Lett. A 277, 18 (2000). Phys. Rev. E 60, 3920 (1999). Phys. Lett. B 451, 207 (1999). Adv. Appl. Clifford Al. 8, 109 (1998).